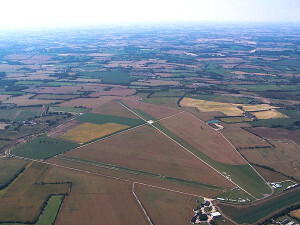 The Essex and Suffolk Gliding Club was established in the late 1950s. It has had several sites during its life and moved to Wormingford in 1990 on the site of a former Second World War fighter base. Since moving to Wormingford, the club has grown and the facilities are the envy of many clubs around the country. 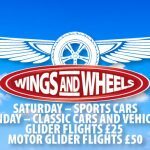 We are one of the premier clubs in Anglia region, offering a full range of training from a Gliding Experience, Trial Lesson or Day Course, through to Solo, Bronze, Silver badges and beyond. 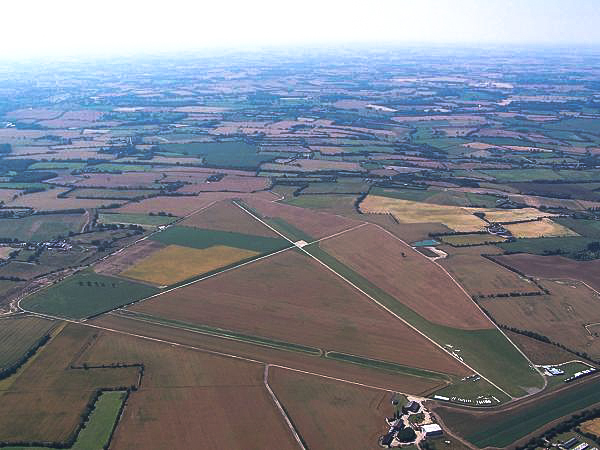 The club is a member of the British Gliding Association and operates under its rules and guidance. All of our instructors are BGA-qualified. The club operates all year round, weather permitting. Normal flying days are Saturday, Sunday, Wednesday and Friday. 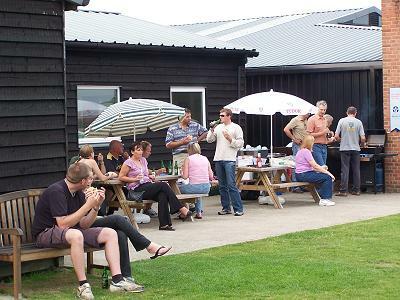 In 2004 we conducted a successful experiment to open the airfield seven days a week for July and August, and it is hoped that this can become a regular summer feature, or even expanded. During November to March, Fridays are not necessarily operational. Facilities exist for every level of training in club gliders, and also for members who wish to fly their own gliders. The large club fleet consists of four two-seater gliders and four single-seater gliders (a high glider/member ratio), and we are always striving for improvements to the fleet. All of our gliders operate with a current CAA “EASA Certificate of Airworthiness”. There are also approximately 35 privately-owned gliders on site. Training takes place, weather permitting, from dawn till dusk. There are instructors on duty on Saturdays, Sundays, most Wednesdays and Fridays, and on Bank Holidays. All training from “ab initio” (pre-solo) onwards follows a thorough syllabus approved by the British Gliding Association. The syllabus is constantly being updated, to ensure the most modern methods are used, and safety is always paramount. A typical club member will progress from their initial trial lesson through to solo in an average of 70 or so winch launches. The time taken to fly solo tends to be measured in number of launches rather than hours in the air, but other factors such as age, frequency of flights, and the student pilot’s natural ability will affect the number of flights required. ESGC operates a “fixed price to solo” deal to limit the cost of achieving solo flight. Once a student has reached solo standard, further instruction is available to further the student’s own learning initiatives during their early solo flying. There are many options open to pilots: for example there is the Bronze Badge and Cross Country Endorsement, Silver Badge together with the challenges of cross-country flying, Gold Badge, and Diamonds. For the competitive-minded there is plenty of scope from Inter-club League to National and even International events. Gliding is a sport where each pilot sets his/her own goals, and there is always something new to learn and master. Membership is open to all. Details of current subscription rates, flying costs etc. are given separately here. If joining without much delay as a result of a Trial Lesson or Day Course, the trial fees already paid will be fully taken into account and flights already taken will be accounted for at normal club rates. This will be explained in more detail by the Membership Secretary at the time of joining. Much more than the financial cost, learning to glide requires real commitment, and serious thought needs to be given to the amount of time needed. There are no paid employees at the club and all tasks are carried out on a voluntary basis. Gliding requires co-operation from everyone involved with the sport. Members with special skills that will benefit the club are most welcome. Most members are able to carry out the everyday tasks of daily inspection of the gliders, keeping the flying log, acting as Launch Marshal or driving the cable tow-out vehicle, and when a little more experienced to learn to drive the winch. Training is given for all tasks where necessary. Participation in all the various aspects of the club helps bring everyone together, thus creating a sense of comradeship. Apart from the essential day-to-day tasks in which all members are expected to participate, there is also a committee, whose officers are elected annually, responsible for the general and financial management of the club. Safety in the air, and on the ground, is everyone’s responsibility; there is also a club Safety Officer, and the Chief Flying instructor (CFI) has overall responsibility for flying standards and discipline.